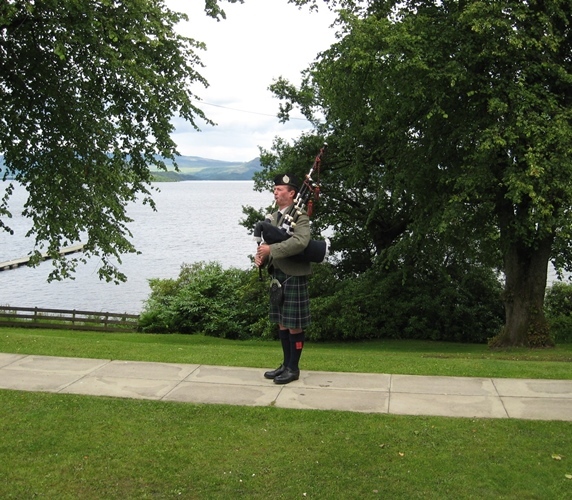 If you are thinking about a Scottish Piper for your wedding and are wondering when exactly you would have the piper play, there are plenty of opportunities and the following are all included in our standard piping package . You can pick and choose what you want to suit yourself and any special requests can also be catered for. We say “your day…your way”. Delegate! That’s what the best man, ushers and bridesmaids are for! Just arriving dressed for the occasion is a challenge in itself, without having tasks to perform. At a recent wedding, the groom had left himself so many things to do, that he forgot the rings. Oops! Which tunes for your wedding? 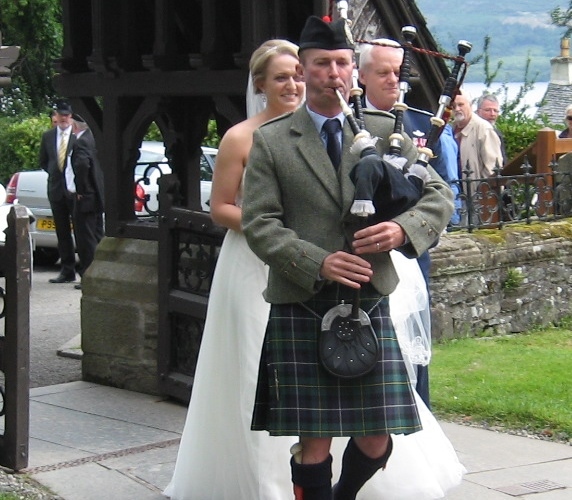 You can pick your own wedding music for the bagpiper, and to help you there are 30 or more tunes available on Premier Piper‘s website for you to choose from. Alternatively leave the music to us, as we know from experience, which tunes will make your big day go with a swing. The standard piping package is intended to roughly cover 3.5 hours, from 30 mins before the wedding ceremony until playing into the wedding breakfast. 2. and not having your guests faint with hunger or too many libations. 2 to 2.5 hours is a good amount of time as a rule of thumb. Canapes are a great idea and essential if you’re going to extend this time. What I mean, is that 5-10 minutes here and there soon add up and before you know it you are scrabbling around trying to turn back time. For example, even if a bride does arrive on time (unlikely, no offence girls! ), it’s going to take 5-10 minutes to get out of the car once photos have been taken and the dress has been extracted too. Then it’s another 5-10 minutes to have a welcome chat with the minister and then process down the aisle. So already, things are running 20 minutes late, if you didn’t factor this in. All the small things add up! I was at a wedding recently where the bride and groom arrived at the reception venue just in time to have a quick group photo with all their guests and be piped into the wedding breakfast…ZERO time spent with guests before the meal. And that was because the bride arrived 15 minutes late; then took 10 minutes to go into the church; the service was an hour long (planned for 45 mins) and the photographer took 2 hours to take family photos. Photographs can, without doubt, take up the most amount of time and I would urge anyone to check how long is needed for photos before booking, because a photographer like the one above, in my opinion, can spoil a day. Some photographers (like Greg from Napier Wedding Photography) are great, but others not so much. This is something that catches people out all the time. If you have around 80 guests it will take them at least 15-20 minutes to move from one room to another, so if you have a schedule which says that guests are to be seated for 4.30pm, you need to ask them to be seated around 4.10pm and ideally your coordinator should give them a 30 minute warning before that, so that people can plan a bathroom break. So, any time you are moving your guests from one place to another, allow time for that to happen. Unless you you are Harry Potter of course. Consider having your ceremony and reception in one place, as it saves on travel time between venues (so more time for other things) and it means that everyone, but especially elderly relatives, can get a drink and something to eat whilst waiting for the ceremony to begin. It also means that you have no chance of a breakdown between venues and your guests don’t need to sit in a car or a coach instead of enjoying themselves with you. Ministers, celebrants and registrars are all licenced to marry couples just about anywhere, so why not ask them along to your venue of choice. Does the venue have a separate room for the wedding breakfast and the evening reception or does it need time to turn the room around? If the band are playing in the same room as the wedding breakfast, can they set up without interrupting your guests? Do they need to set up before the wedding breakfast or do you leave time between eating and the band starting, to allow them to set up? It all takes planning and TIME. 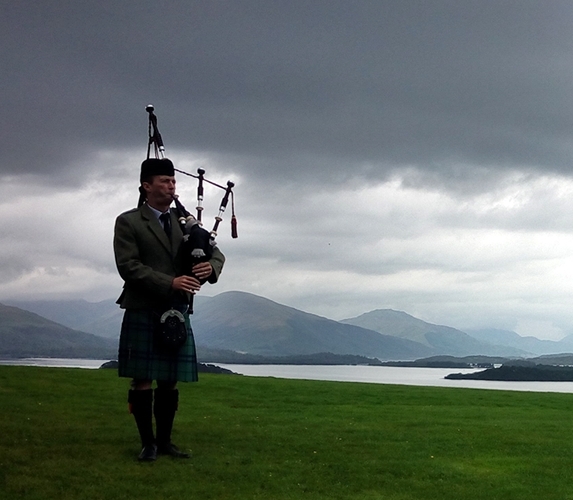 Hire a Scottish Wedding Piper in Glasgow, Stirling and Scotland and leave the wedding music to us. Rest assured you have made a sound choice! If you’re looking for pipers in Glasgow, not all services are the same. 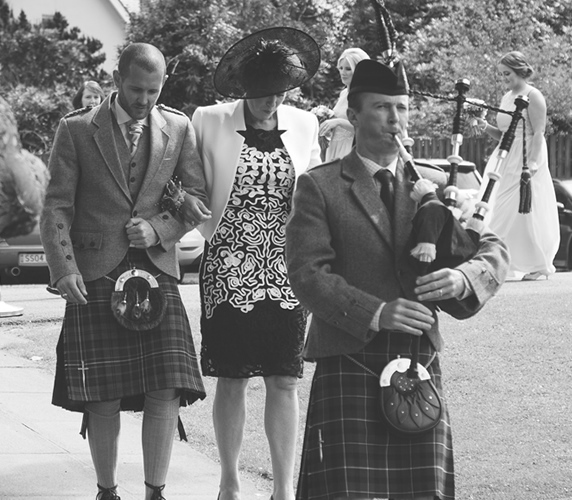 Premier Pipers are the leading supplier of Scottish pipers for weddings. Get in touch for a free quote. Keith’s career as a Scottish piper began 34 years ago when he started learning the bagpipes. He became a professional wedding piper in 1993, whilst studying, and has been playing weddings, funerals and functions ever since. He now combines piping with ski instructing. Looking for Pipers, Premier Pipers can help!